Looking For Whirlpool Washer Repair Services In The San Gabriel Valley? Our company Service Masters Appliance can inspect, test, diagnose and fix problems you are experiencing with your Whirlpool washer. We have a team of technicians that reside in and around the San Gabriel Valley that can respond promptly to your repair needs. Often times, you will get same day service from our company. If you have an emergency, then we have staff in and around the San Gabriel Valley that can respond to urgent requests. We are a family run and operated business that have been servicing the cities of Altadena, Alhambra, Arcadia, La Canada Flintridge, Pasadena, South Pasadena, San Marino and San Gabriel in the San Gabriel Valley of California for over fifteen years. All of our employees are screened with background checks to ensure your safety and will show respect to you and your family during a repair job. The work we do is guaranteed. If you are not satisfied with the work we have done, let us know and we will make it right. 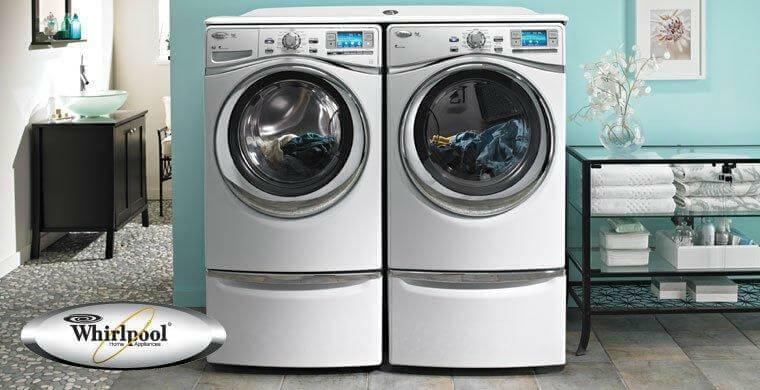 Whirlpool is a top brand that has earned a reputation for quality and affordability for its washers. Even the best brand washers can malfunction and need repairs at times. We at Service Masters Appliance are more than happy to help you. Here are just some of the problems that we can help you with. Noisiness is one of the most common complaints by homeowners. Often times this problem requires a simple replacement of a part, lubrication or minor repair. Another common but serious problem is leaking in a washing machine. This can be caused by a variety of factors including cracks in the door seals and damaged water pumps and inlet valves. Our technicians will be able to diagnose the cause of the leak or noise and get to work on repairing your Whirlpool washer right away. Another frequent call we get is that the washing machine will not start. This could be caused by issues with electronic components, door switches and fuses. Our staff will be able to diagnose the cause of your washing machine not starting and quickly determine if the washing machine can be repaired or if it has reached the end of its life. There are a host of other issues that can impact your washer. Not filling up with water and the agitator not rotating are issues that can frustrate a homeowner and leave you unable to wash your clothes. The timer knobs not advancing and a lack of hot or cold water are other issues that can require a professional. If you need Whirlpool washer repair services in the San Gabriel Valley call the Service Masters at 626-381-9899.